One of the best hand grain mills on the market, at an affordable price. Also available is the Drill Adapter for this mill, which will make your milling process faster and easier! The Wonder Junior Deluxe is the highest quality most versatile hand mill available at an affordable price. Wonder Junior is one-piece construction so the hopper will not come off during use. Heavy duty base can be bolted to any table or counter, if desired. 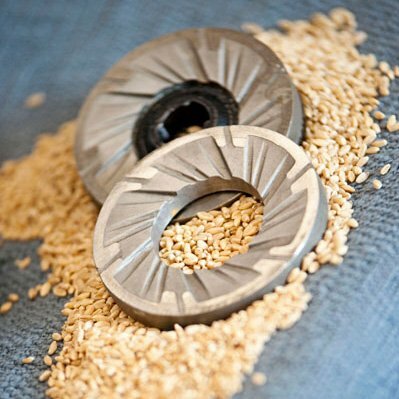 High-quality stainless steel burr heads are for milling wet or oily grains, seeds, or coffee. 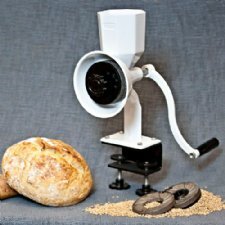 You can create super fine flour or coarse cracked grains for cereals.